Wrigley's Airwaves wanted to promote its Chlorophyll flavored gum. It's green with a kick. What else is green with a kick you say? 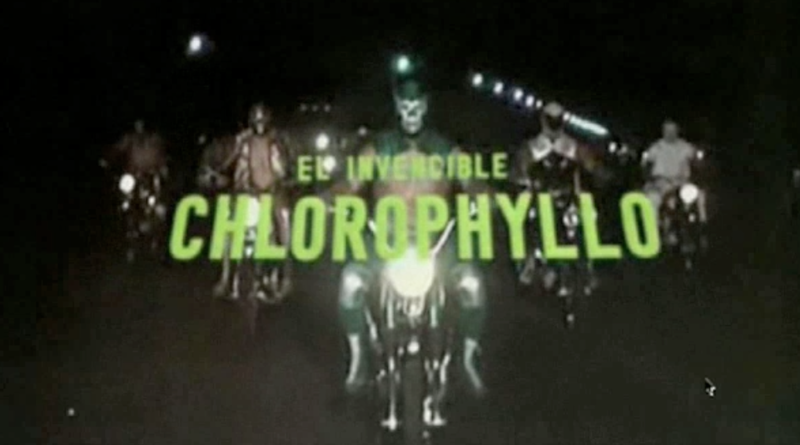 CHLOROPHYLLO! The strongest luchador on the planet. We watched dozens of old Mexican Lucha Libre movies, then re-edited them into a new story along with a never-seen-before interactive mechanic : (drumroll) bashing your keyboard. The harder you smash, the more the story advances and points you win. Chlorophyllo has to be the most fun I've ever had on a project, largely thanks to the amazing work of Oscar Tillman and the whole team at B-Reel London. Play Chlorophyllo here. Send me a photo of your smashed keyboard and I will reward you. Chlorophyllo's on Facebook as well!